Dental implants are the best option for replacing missing teeth as they look and function just like real teeth! When you lose an adult tooth, you might get a surprise from the Tooth Fairy, but your tooth isn't going to grow back. The dangers of missing teeth can impact your dental and even overall health. 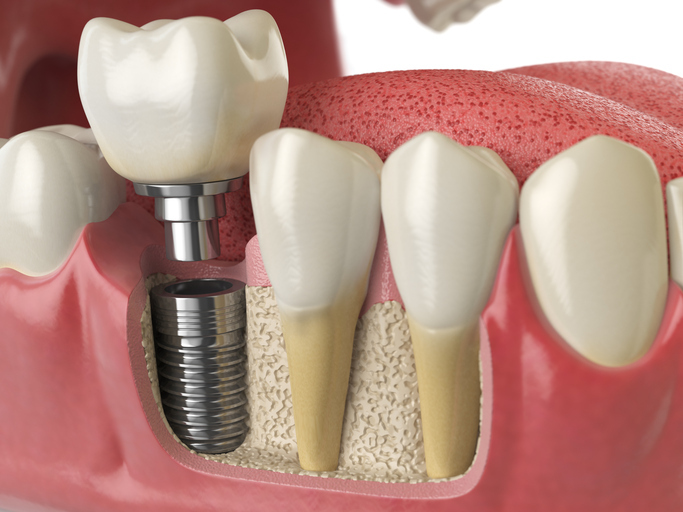 The best way to replace a missing tooth today is a dental implant. 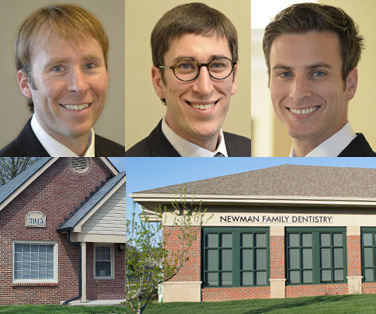 At Newman Family Dentistry, we will provide you dental implants that look and function like real teeth and can last you a lifetime. Perhaps the best thing about this procedure is that it's nearly pain free. A dental implant consists of a root-like structure, usually made of titanium, that fits snugly in the bone of your jaw where a tooth is missing. The bone will grow around the implant to create a stable bond. This implant can then be used as an anchor for a prosthetic tooth, a bridge, or a full denture. There are many benefits of dental implants beyond just providing cosmetic value. They restore full function and help you maintain oral health. Is the procedure really pain free? Most dental implant patients report very little pain following a procedure. Since there is no feeling in your bone, you won't experience pain as a result of drilling or placement of the implant. The procedure requires only a minor incision in the gum tissue, so you may decide to take an over-the-counter pain reliever, but you probably won't need anything stronger than that. Learn more about the dental implant treatment process and what to expect during dental implant recovery and care. The first step is to come into Newman Family Dentistry and have your mouth evaluated to see if you are a candidate for dental implants. One of our implant dentists will examine bone mass and gum health around your missing tooth site and determine the best treatment for you. If you have a missing tooth, it's important to deal with it before it causes damage to the rest of your smile. Contact us to schedule an appointment at either our Carmel or Indianapolis office and we'll get you taken care of as soon as possible.